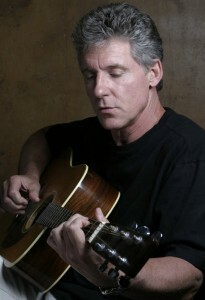 Paul is a songwriter and producer currently based in Nashville, frequently working in Los Angeles. Paul has recently launched Tin Pan West, a music media company, and owns O’C Company Music, a full music production and mixing facility featuring an online music library for Film, Television and multimedia. Paul’s current catalog can be reviewed at O’C Company Music. Paul is a graduate of Central Washington University with a BA in Music & Theatre. His professional experience includes extensive concert & club touring, and studio recording as a lead guitarist and vocalist, performing and fronting in the bands Orangeroze, Pegasus and Johnny O.
Paul has worked and shared the stage with some of the worlds most accomplished songwriters and artists–Bob Crew (Jersey Boys), Doug Johnson (Randy Travis, Lee Brice), Gary LeVox (Rascal Flatts), Fee Waybill (Tubes), Richard Marx, & REO Speedwagon & Heart.